I recently hunted a Whitetail Deer with your fine bullet. I shot a doe with my .25-06 with your 100g HV bullets at 3450 fps with 55g of VVN160. She was shot at about 45 yards and made a run of about 50 yards after being hit. I would like to tell you what the recovered bullet looked like but it may still be going, as it penetrated through the ribcage. 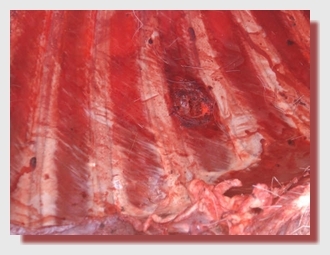 The first picture attached is a picture of the entrance wound, as you can see, the bullet missed the ribs going in. 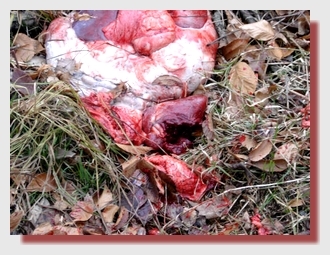 The second picture is a picture of the exit wound, nice exit wound for not hitting any bones. 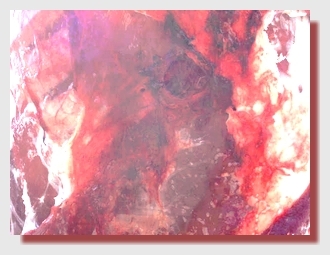 The blood trail was streams of blood on both sides, I have included a picture of a leaf with lung tissue on it after it was blown out the opposite side. 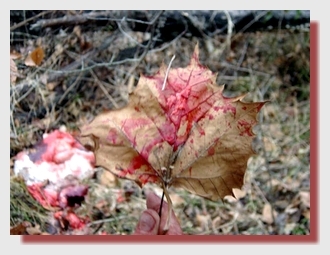 The last picture is there to show you how much damage your bullet did to the heart of this deer. 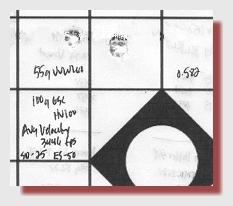 Icing on the cake is that I shot a 0.582 group with this load when working up a load. Needless to say, I am thrilled with the performance of your bullet and I am now done with my load development. I will use your bullets until you stop making them or I stop hunting, hopefully neither one will be very soon.